We have a reputation for being awesome, and employers know it. These industry leaders are actively pursuing Oregon State students to fill their open jobs and internships – you don’t want to miss this opportunity. This career fair attracts approximately 150 employers in STEM (Science, technology, engineering, and math) fields. We are doers. Problem Solvers. Communicators. And although we’re incredibly proud of what our fellow students are doing in STEM fields, that’s not all Oregon State students can do (and employers know it). 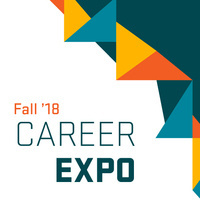 Come to Day 2 of the Career Expo to find over 100 exceptional employers interested in students like you to fill jobs and internships in the arts, humanities, business, and healthcare. Hope I can find a job here.